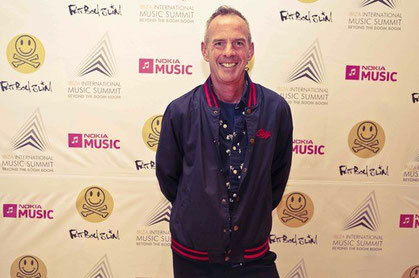 There was praise for Norman Cook aka Fatboy Slim recently at the sixth annual International Music Summit, where he was honoured at the IMS Legends Dinner held in Ibiza’s Cipriani’s in association with Nokia Music. The music industry united in support of Norman, with video messages from the likes of Iggy Pop, who stated he wished he was in Ibiza with Norman, Talking Heads main man David Byrne, DJs Carl Cox, Rob da Bank, Nervo and finally, Wire star and future Nelson Mandela actor Idris Elba, who was DJing with Fatboy Slim at the UNESCO heritage site Dalt Vila. Fatboy Slim said: “It was a real honour to be the recipient of the IMS Legends Award for 2013. To follow in the footsteps of Carl Cox and Pete Tong is a big statement, two of my favourite contemporaries in the DJ world. Pete and IMS put on a very special evening for me. All a bit overwhelming!" Highlights included a version of ‘Praise You’ by Ibiza’s Ibiza Choral choir; a 20-piece group, which was arranged by Latin composer, Hector Ponce, who spearheaded this unique take on Norman’s biggest hit. Other special moments included a Christopher Walken imitator replicating the award-winning video of ‘Weapon Of Choice’, with a dance that resulted in him jumping into Cipriani’s swimming pool. The event, hosted by Mike Cuban, also featured a Fatboy Slim medley by African act Da Banda – a troupe of Angolan dancers. The dinner was also in support of The Hepatitis C Trust, culminating in a special auction, which featured works of art of Idris Elba and others by urban street artist Fin DAC who painted the pieces live at the IMS, to raise funds for increasing prevention, diagnosis and treatment of Hepatitis C in the UK.